Amazing south facing medium low-bank Ocean Front property with views of Lyall Harbour, the ferry dock and Mt Fisher. Exceptionally Private Oceanfront Scandinavian Modern Design 2,700 sqft home with 350 feet frontage and a view on the beach looking out to the North Shore Mountains and Vancouver city lights. 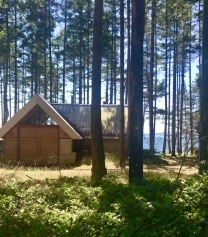 Ruxton Island: Are you looking for an off the grid lifestyle? Then come enjoy your summer holidays lounging on one of the nicest sandstone beaches on the island with 90 feet of frontage and a safe moorage. 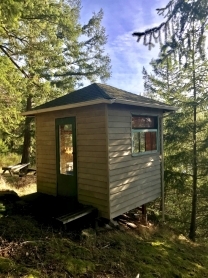 Located in sheltered Otter Bay, there are views of Whaleboat Island, Gabriola Passage and the Coast Mountains. A Saturna gem! 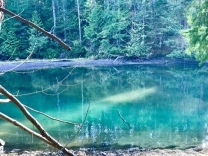 This high-bank waterfront 2.8-acre lot with a wee bunkie and well has a perfect building site that is nestle in a forest of fir and arbutus trees to create a serene ambience. price. Located at the mouth of a Lyall creek.